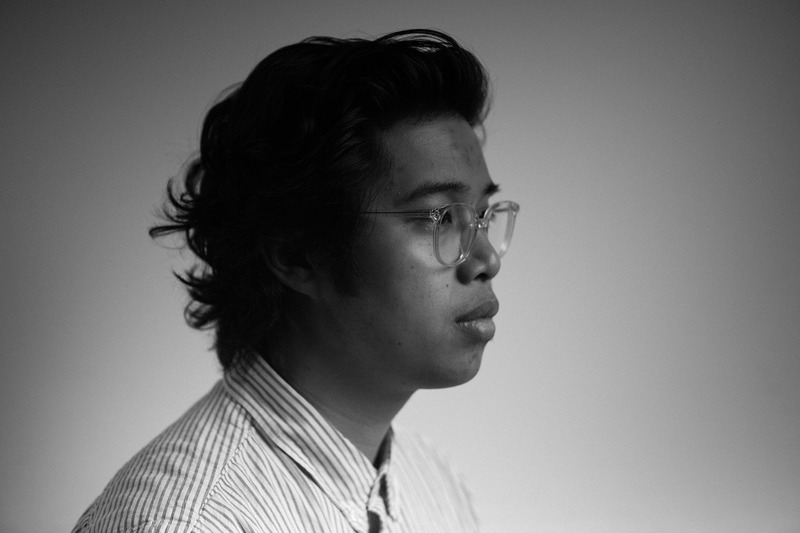 The last time we talked to Chapman University graduate Nieman Gatus, he had just released his first collaborative EP “Lost in Translation” with his cousin and fellow singer-songwriter, Moira Dela Torre, who has a large following in the Philippines. Today, the R&B crooner’s journey comes full circle with a performance slated on Dec. 11 at The Constellation Room in Santa Ana, after almost a month and a half of touring Asia to promote his newest EP “Knots.” We talked to Gatus about what we can expect from this performance, and how this concert is truly a culmination of his past few years as an artist. Tell me about how “Knots” has evolved in the past two years since you first recorded the demos in the summer of 2016. When I last talked to you, I didn’t know what was going to happen with this album. For the last two years, we kind of just sat on it. Two years ago, we were at different places musically and we were able to allow the songs to age a little bit and come back with a new perspective. Our producer Nick Pacoli learned different techniques and sounds, and same with Moira and I. That summer, we started out with demos where it’s just piano. Now, these songs are more fleshed out and imagined. For instance, for the track “Tell Nobody,” we didn’t think it would have this ’90s vibe until our producer Nick Pacoli imagined it that way. Now, the EP has over 2.7 million plays on Spotify. It’s crazy that it’s come full circle. It’s out and people have embraced it and continue to share it. I just did my whole promo run and I’m still coming across people that are just finding it now. What was it like touring Philippines and Indonesia to promote this EP? My cousin Moira has become one of the biggest artists in the Philippines and I felt like I just got to hop on for the ride. Doing shows with her and different radio spots in Asia was a dream. The furthest I’ve ever been with my music before then was Berkeley, and I got flown out to different countries for songs that I wrote in the car with my cousin. It’s just surreal. For me, writing is a routine that I do every day. It never occurred to me that these songs would be played and embraced across the world. When we performed our last show together at an outdoor shopping center in the Philippines and I performed “Why Him?” (my song that Moira’s featured in), she spotted this guy in the crowd and walked over to him. She gave him the mic and he sang my whole verse. And even with “Knots,” it had just come out and people would know all the lyrics and sing along. You released the album with Star Music and Tarsier Records and got to promote the album in Indonesia with Warner Music. What was it like to work with such established, foreign labels? When we got to the floor of the office at Warner Music, they had these three screens that were advertising our songs, our album. It was so insane. I’m just so blessed to be given this platform, especially with Moira’s momentum. What was also dope about touring in Asia was that I didn’t know if people were understanding what I was singing, but they were so invested. It was amazing to observe the fandom in Asia and just the way they really embrace artists. Moira’s fans are so dedicated and committed to her. It really gives you perspective on how your music can affect people. You also traveled with a small crew. My cousin Daniel Fojas is my touring guitarist. There was also Nick, who has been producing most of my music since I started, and Matt Champagne, who built the live show set from the ground up. I couldn’t think of better people to share that experience with. It’s really cool to work with a small team. These are some of my closest friends, and it’s nice when you don’t have 100 hands involved. The art stays true to itself, and we never compromised the vision. Both were directed by my music director Matt. For “Knots,” we just wanted something fun. For “Tell Nobody,” I was inspired by ’90s slow jam videos. From the jump, the screen ratio had to be how it was back then. With ’90s videos, they were really personal but the sets were always really gaudy and dramatic. That’s what I loved about shooting in a mansion in L.A. was that it had that vibe. Matt was very collaborative and really upfront and vocal about wanting to hear what we wanted to say. He really brought out our vision for the songs. “Knots” traces the different stages of a relationship. Give us a brief rundown of each stage. “Knots” captures the feeling at the pit of you stomach, the knots inside your stomach that don’t seem to go away when your crush is in the room. It’s when your crush walks in and there’s the pressure to perform and be a certain way and think of something to say that doesn’t sound stupid. With “Promise,” we wanted a realistic wedding song. I used to shoot and film weddings, and I responded best when I heard those vows that would embrace the inevitable bad side to things. It’s nice to be positive and idealistic, but I also wanted to write a song that captures the reality of a relationship. I always saw “Tell Nobody” as a breakup song. It’s that awkward part of the breakup where you take what’s yours and they take what’s theirs, and what’s shared is no longer shared. I really wanted to capture that imagery of moving and almost getting evicted. The way Moira describes the song is that it’s the shame you feel when you break up with someone and you want to just keep it between yourselves. “Distance” captures what happens post-relationship. Can you be friends with your ex? I know people have different answers to that. And one thing that I love about our music is that there are always two perspectives, two different sides to the story. We always wanted to give that push and pull. 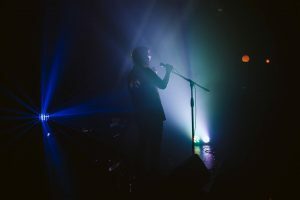 What’s it like to come back and perform in O.C.? The Constellation Room has always been special for me. I actually shot my senior thesis there. Last time I was there for a concert, I saw Sabrina Claudio and Daniel Caesar. Just to be able to follow them and perform there for my own show is pretty dope. I have two openers, JustPUDGE, who’s a really good friend of mine who performed at Coachella this year, and Elyzr, who’s a soulful artist and pianist. I’m excited to unearth some songs I haven’t performed in a while and also share some new stuff people haven’t heard yet. I’m really treating it like a homecoming/end of the year show. I really feel that people are going to have a good time, and if you’ve bene rocking with me for this long, I think you’ll really get to see how far we’ve come. There’s this artist called Alec Benjamin and he’s super dope. He’s so different and he’s more of a singer-songwriter type. John Mayer posted his stuff on an Instagram story and I gave it a listen, and I was like, “Yo, I love this.” There’s this song called “CPR” by Summer Walters that I think is dope, too. Advice to those pursuing a career in the arts? That was always a scary thing growing up in a Filipino household. My parents support me 100% and they’ve always supported me, but they just didn’t know how. With pursuing something in the medical field, it makes sense. You go to school, you do this, this, and that, and you get a job, become successful, and make lots of money. This is all new to us. My brother is a really talented actor, and so he’s in the arts too. We’re all kind of improvising and navigating through pursuing a career in the arts. With other fields, there’s a blueprint. If this is something you’re really called to do, then pursue it 100%. I never wanted to be in a place later down the road where I feel like “I should have done this when I had the chance to.” Don’t compromise your art and your vision and give yourself a chance to. Give yourself a fair shot before you close the door on anything. Also, pursuing a career in the arts is not as impractical as people made it seem before. Social media is really how my music got out there. There are a lot of resources for people to capitalize on their momentum, and give this a fair shot. 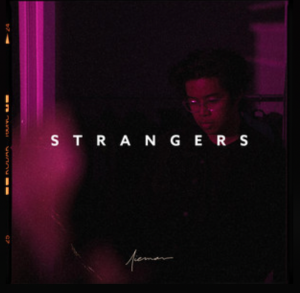 Listen to his latest single “Strangers” produced by Bigg Kidd on Spotify! Watch the music videos for “Knots” and “Tell Nobody” below.